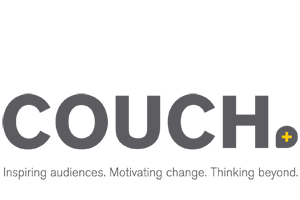 Manchester, UK-based medical communications agency Couch has marked its second birthday with a rebrand. Two years after launch, Couch co-owners Ash and Katie Rishi have consolidated their offering based on the needs of the industry, they said, creating a new identity and with it a new online presence. “We consolidated our services to reflect the work we are doing with our clients and to meet their evolving needs,” managing director Ash Rishi told PMLiVE. Couch is 'actively looking to add new team members at all levels', Rishi added. He also explained that the redesigned website has moved away from talking about Couch - as was the case with its predecessor - to 'really talking directly' to clients. The redesign was carried out in-house, headed up by Couch's lead designer Charlie Jackson. Couch has won two new global clients this year, although Rishi said he was not in a position to name the companies his agency would be working with. But he did tell PMLiVE that one of the projects is a year-long global multichannel training programme for all of that clients' brands and would be delivered through a mix of online training, face-to-face training, and coaching. The second is a behavioural segmentation project that will involve Couch working to define different healthcare professional segments for the client's global field force to use.